No one could believe the dog was still alive. 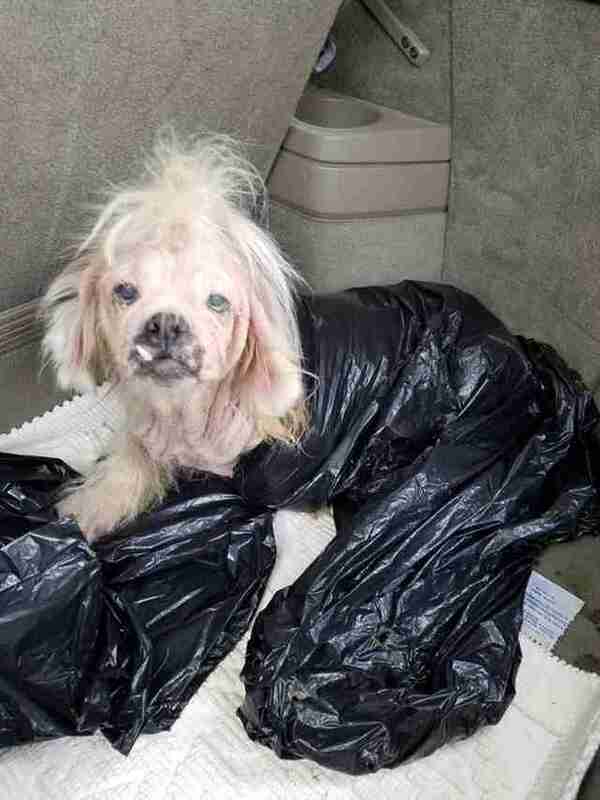 The Shih Tzu was wrapped in a garbage bag when two people brought her into the shelter run by Richmond Animal Care and Control (RACC) in Virginia last week. 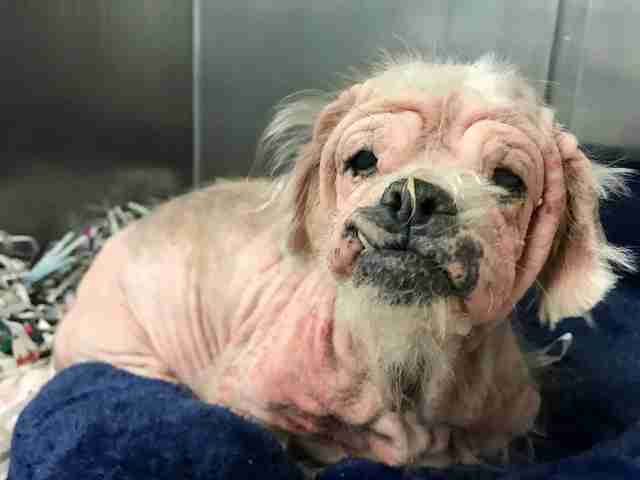 The dog was in a horrible state — she was missing most of her hair, and her skin had an infection that hadn’t been treated for years. Peters wasn’t at the shelter at that time, but the staff member on duty sent Peters a text to let her know what was going on. “We’re so angry that this happened, but we’re also super grateful that she’s here and we can treat her and she’s alive,” Peters said. 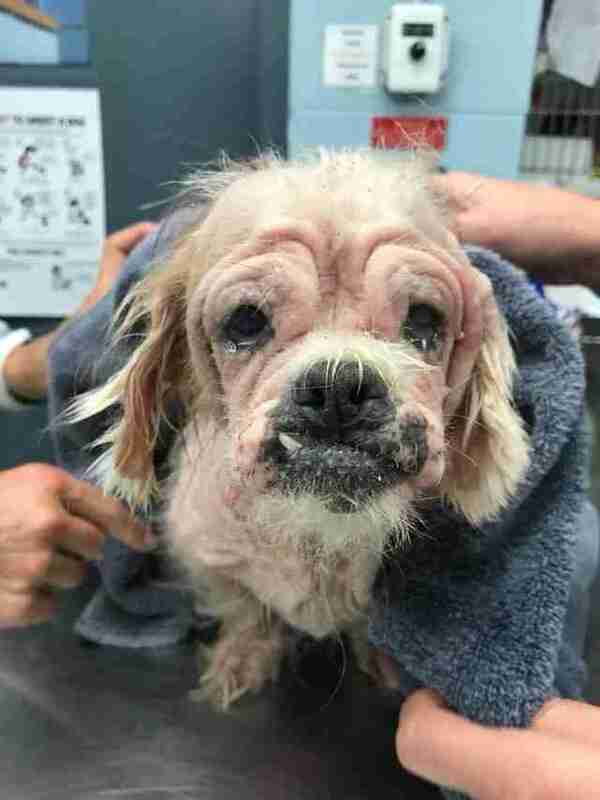 The staff immediately started treating the dog, now named Annabelle, for her skin infection, as well as an upper respiratory infection, conjunctivitis and problems with her teeth. 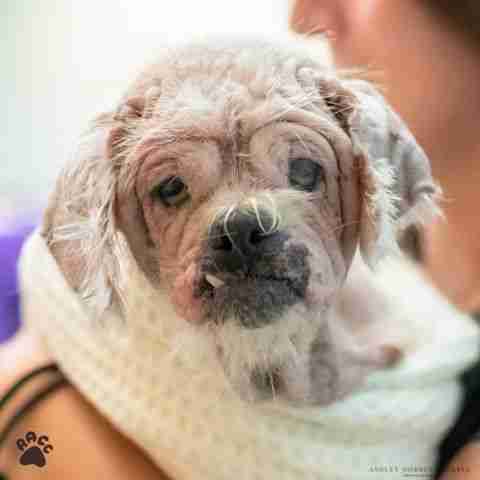 Despite everything Annabelle has been through, she’s the “happiest, sweetest dog,” according to Peters. Annabelle, who’s thought to be about 5 years old, is mostly resting right now, but she enjoys meeting new people and going for walks. Annabelle will stay at RACC while she recovers, but the shelter is already taking adoption applications for her. 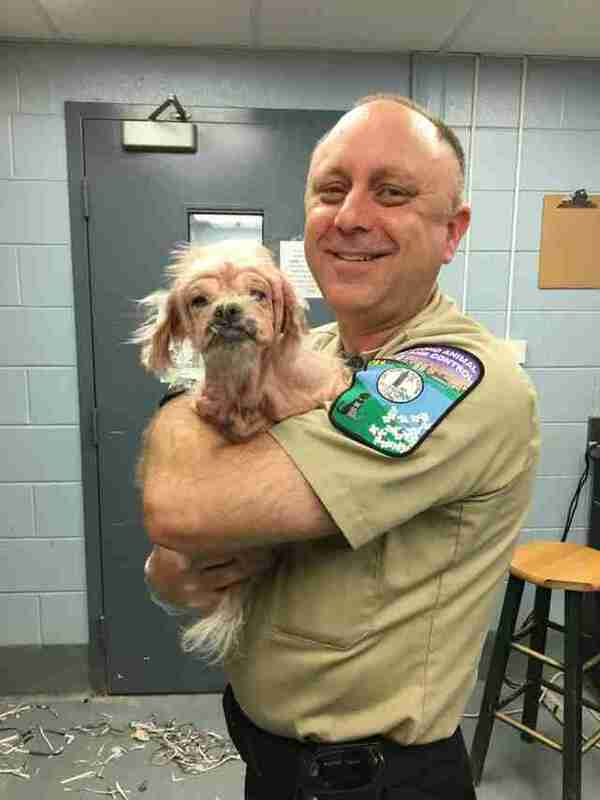 While RACC is mainly concentrating on helping Annabelle get better, they’re also trying to investigate what happened to her, so they’re asking the public to come forward with any information they might have about her. If you have information about Annabelle, or if you’re interested in adopting her, you can contact RACC.